Following this verse are listed a few benefits of setting the Lord before us. How can I purposely ‘set the Lord always before me’? What does this look like in my everyday life? This one may seem cliché because it’s always mentioned in lists like this. However, this is the one most of us struggle with. 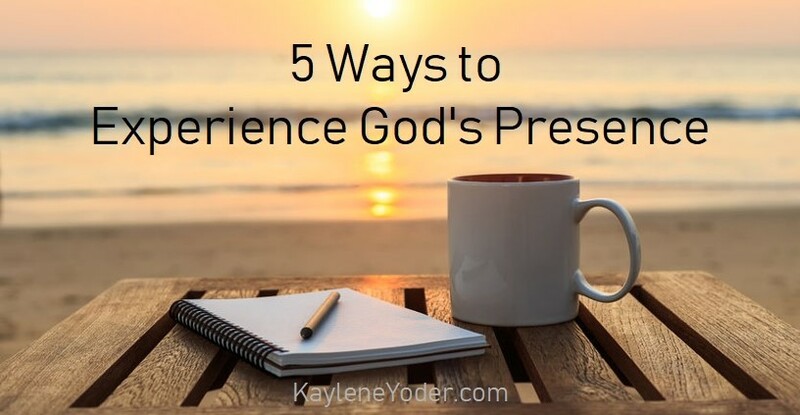 We either put it off because we are so busy, or we think everything has to be perfect for us to get in His word and to experience His presence. We claim to need zero distractions or have nothing else to do. We think we need to be awake enough, tired enough, or needing to rest just a little so we don’t feel guilty about sitting and reading. Maybe, we haven’t done it in a while so guilt sets in and that just makes the whole commitment even harder. May I just debunk all that? If we aren’t purposeful about opening His word, you can bet the enemy will be purposeful about working his evil purpose in our hearts, homes and lives. So, even when you can’t find that quiet spot or that quiet moment, open his word. Even when you’re exhausted, open His word. Even when you feel guilt for not reading, open His word. Be brave. Stand up against the enemy, reject the white flag of retreat he wants to offer you, and open the Lord’s Word. God won’t condemn you. He will welcome you with open arms as you open His life giving book. And laugh at the enemy. Our REST Bible Study Method is a great way to dive deep into God’s Word. Grab one of the journals today and begin a journey that will satisfy your holy thirst. Our God is only good. Why should we focus on anything else? When we focus on the good, we will find more good. Focusing on good will also keep our minds from being cluttered. When we have a clear mind, we are able to practice self-control more efficiently. Pairing a cleared mind with self control enables us to pray more effectively, strengthening our relationship with Him. 3. Find a prayer partner. This has helped me greatly. Not just having someone to pray for me, but having someone to pray FOR. The prayers of others build a protecting wall around us to divert the fiery darts of the enemy. Praying is how we draw near to God. Keeping a continual conversation with Him is key to drawing near to Him. Find a trusted friend to partner with you in prayer for added power in the eviction of the enemy. 4. Write God’s Word on your walls. Placing His words on your walls brings His presence into your home like no other. It will have a positive effect all who enter, and most importantly yourself and your family. I am continually developing this habit, it seems; this strategy of resting with the Lord. But its hard for me. I love going. I must be doing. I thrive on accomplishing tasks. So being still has been tough for me. Nevertheless, I have grown to love it. I felt compelled to do the ‘being still’ part in the physical sense, not just the spiritual sense. I hold still and I refuse to think on pressing matters. I watch my garden grow. I watch a sunrise or sunset. I listen to the wind blow and I silence my going. I silence my doing. I only sit. Breathe. Feel. Listen. He comes. He sits. We wait. I listen. Sometimes, He speaks. Most-times, He doesn’t. Doing this the first few times was hard. But, doing this has renewed my focus on God and His greatness in many ways. 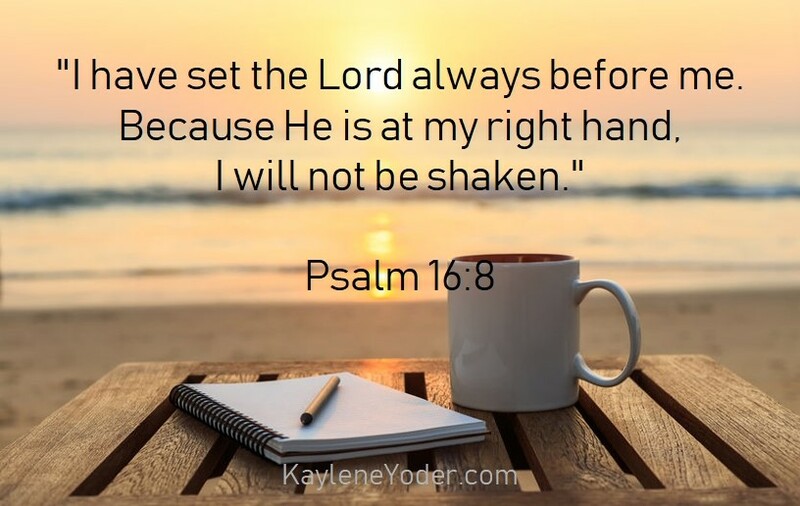 This practice has assured me that He is always at my right hand and I need not be shaken. What are some ways that you are purposeful about getting to know the Lord? 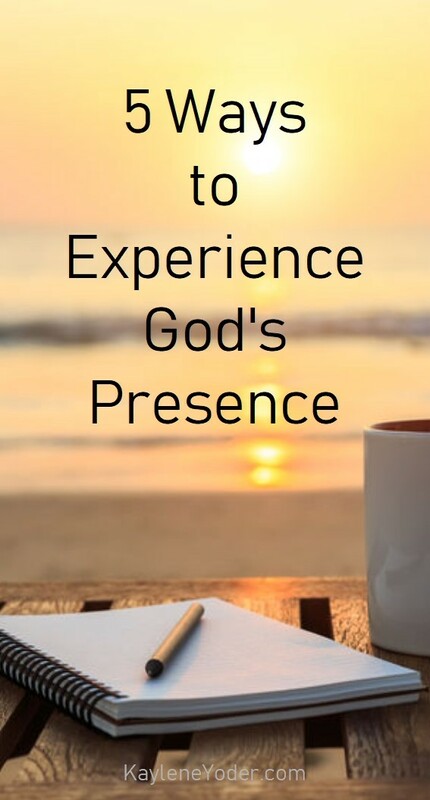 This entry was posted in Christian Living, Christian Women and tagged experiencing God, intimacy with God, personal spiritual growth, presence of the Lord, spiritual growth. Love your post! To answer your question, music REALLY helps me remember His promises and re-focus my mind. I especially love when the lyrics are riddle with scriptures and melodies and while you sing you are refreshing His word in your mind over and over again…music was a wonderful gift that He has given us 🙂 Be blessed darlin&#39;! Oh, yes! Praise and worship music is a great way to experience Him! It seems to set the mood of the household when I play it. Often I don&#39;t take the time to turn it on though. Instead, we sing a lot:) Might not sound as good, but He loves it just the same! 🙂 Thank you for sharing! Being still is what speaks to me. Too often we are too busy to take time for the Lord.<br />Thank you for your post! Yes, sadly we let busyness consume us. Being still is so freeing! Thank you for stopping by! Early in the mornings I read from the Word, work on my Bible study and throughout the day I listen to christian music. I also read uplifting Christian books. These are all wonderful, wonderful ways of experiencing Him, yes. 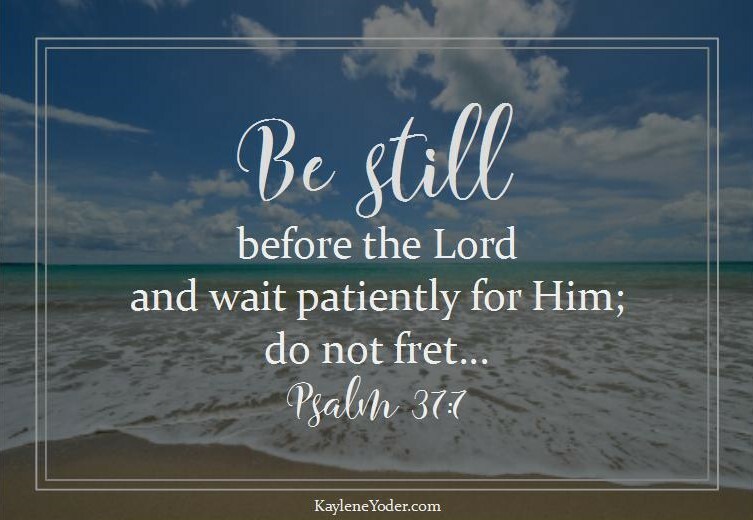 When we are faithful to be still, to read the Word, to pray with others, to see the good, to display His truths, He is always so very faithful to show up. Thanks for these reminders. Hello, Dolly! Thank you for stopping by! Thank you for sharing, Bernadyn! I, too, love music. It seems to set the tone 🙂 I love that your husband prays with you! Such a powerful way to start your days and strengthen your marriage! Blessings! Thank you for posting this. I really needed to read the word today. Its been stressful the past few days. An excellent post, Kaylene! Thank you so much for sharing this at Grace at Home. I&#39;m going to be featuring you next week! Oh, how wonderful of you, Richella! Thank you for this! Thank you, also, for all you do to make your linky possible. Blessings! Love this post. I will enjoy sharing this on my page. I like the write it on your walls step– a good one to add to my list. I&#39;m your neighbor at Beaty Observed today. Yes, yes, YES! To all of it! I used to have God&#39;s Word everywhere throughout the house – and I have neglected that. 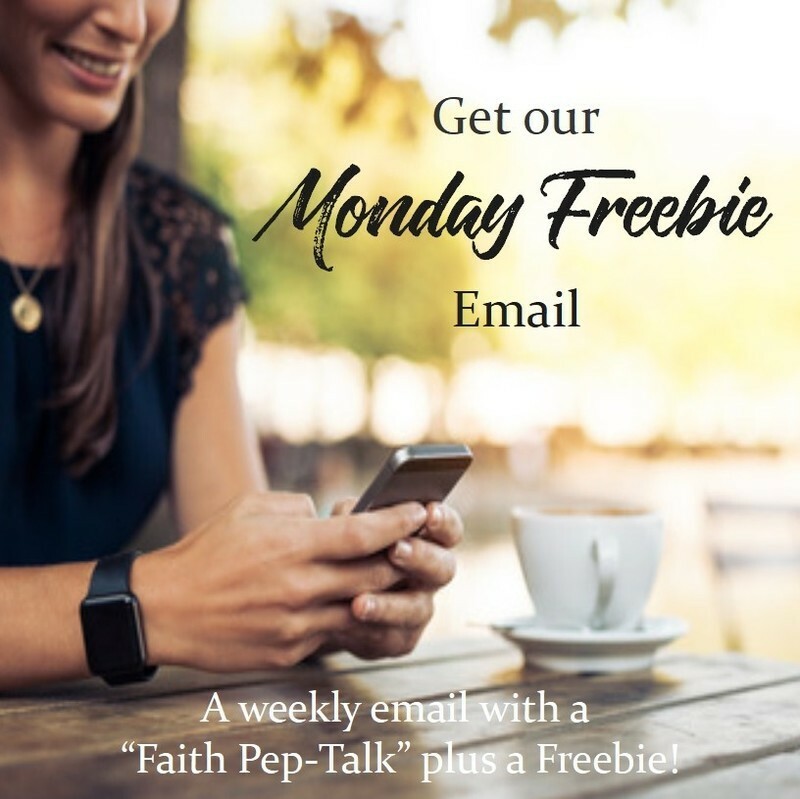 Even if I think I don&#39;t need the Word hidden in my heart, I do…and so do my children!<br /><br />Singing Scripture is also a blessing to me!<br /><br />Thanks for the great post! These things are all in short supply for me at times, especially sitting still. I should have Ps.46:10 on my wall for sure! Focus on the good….this is gold! Dropping in from Coffee for Your Heart, and thanking you for these great reminders. Being still is hard sometimes, but so necessary. Reading His Word is essential. I loved this line, Kaylene, “If we aren’t purposeful about opening His word, you can bet the enemy will be purposeful about working his evil purpose in your heart, home and life.” Nothing makes us find the time to be in His word like remembering this truth. Ah, being still. That’s a tough one for me, too. Have you ever read the book Having a Mary’s Heart in a Martha’s world? (I did a review of it on my blog, if you’d like to know more about it). I have read that one a few times because I am always seeming to need that reminder. Be still. Sit and His feet. When we do that, we do all things better.